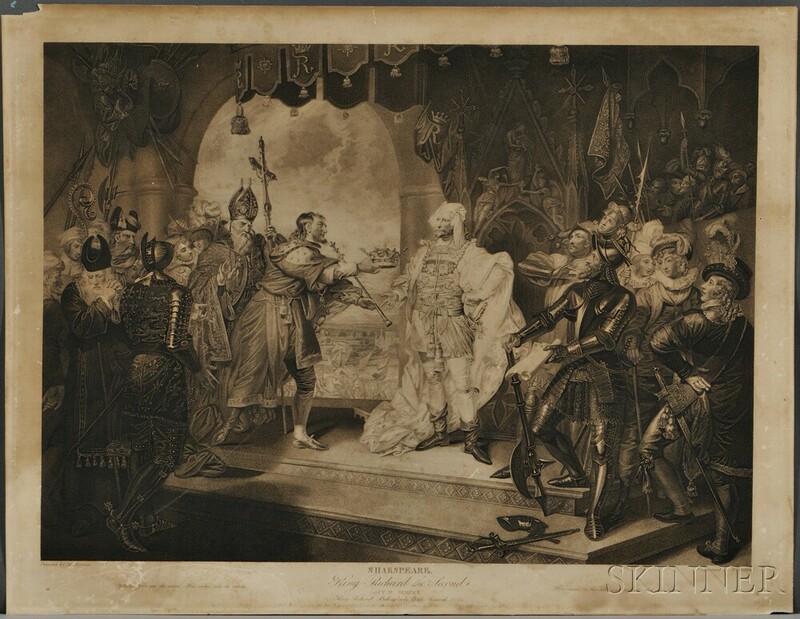 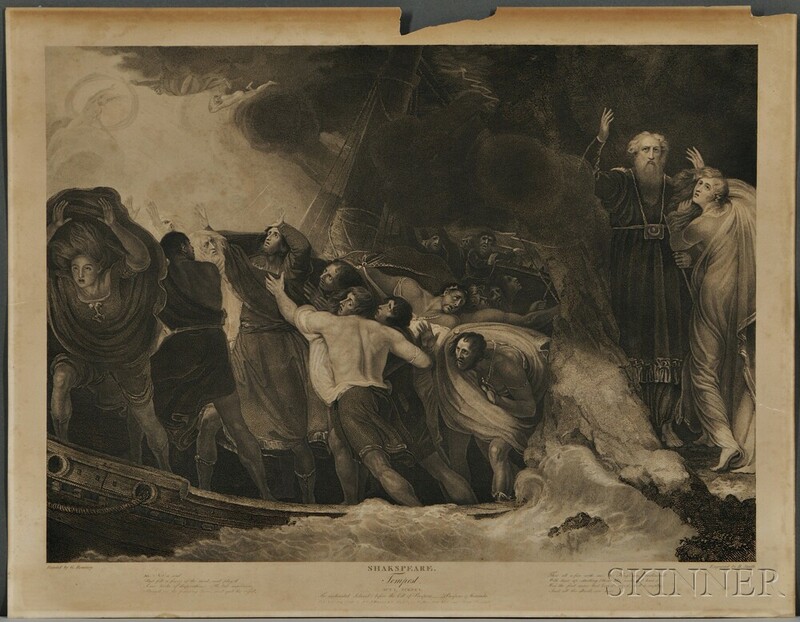 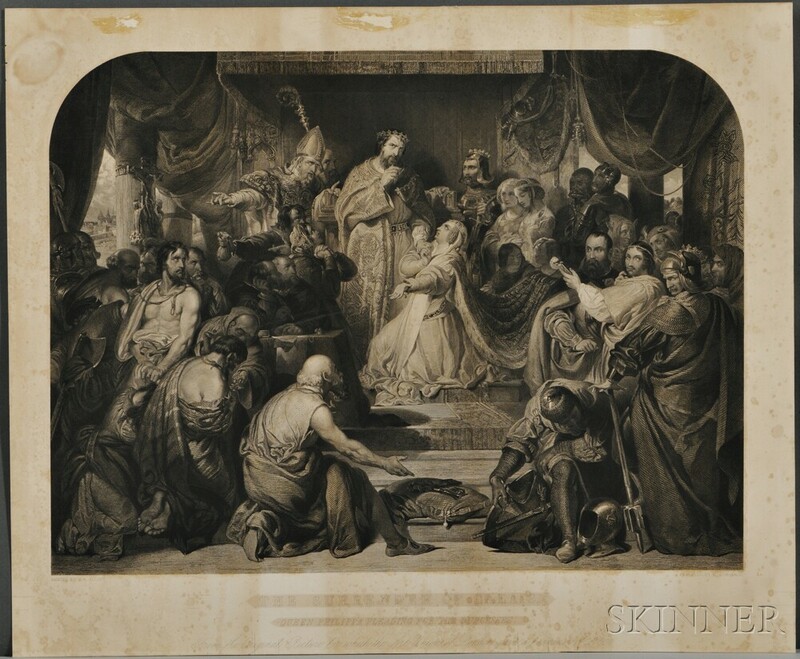 Shakespeare Illustrations from the Boydell Gallery, Six Prints. 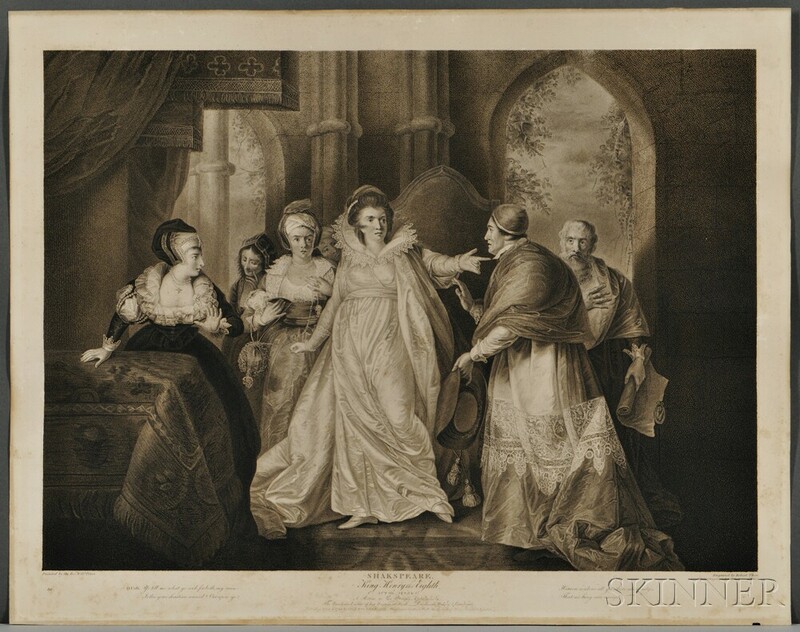 Shakespeare Illustrations from the Boydell Gallery, Six Prints. Shakespeare Illustrations from the Boydell Gallery, Six Prints. Shakespeare Illustrations from the Boydell Gallery, Six Prints. Shakespeare Illustrations from the Boydell Gallery, Six Prints. 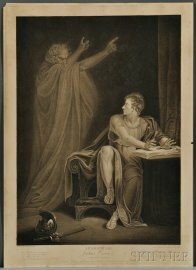 Shakespeare Illustrations from the Boydell Gallery, Six Prints. 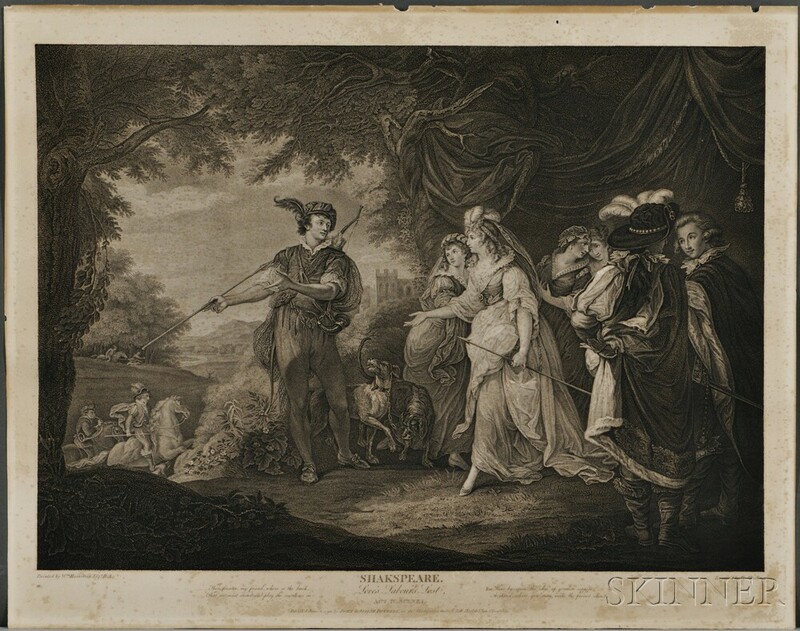 Shakespeare Illustrations from the Boydell Gallery, Six Prints. 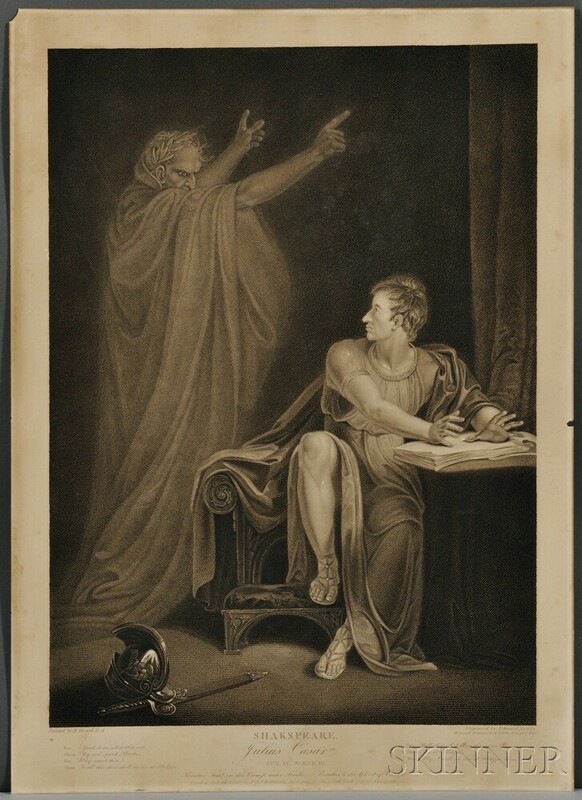 The images taken from A Collection of Prints from Pictures Painted for the Purpose of Illustrating the Dramatic Works of Shakespeare by the Artists of Great Britain, London: John and Josiah Boydell, 1803; including the following subjects: Brutus and the Ghost of Caesar, act IV, scene III; the Tempest, act I, scene I; Richard II's coronation, act IV, scene I; King Henry VIII, showing the Queen and her women with Cardinal Wolsey, act III, scene I; Love's Labours Lost, act IV, scene I; and the surrender of Calais; toned, the paper somewhat brittle, chipping, various sizes.